Those with a keen eye and a rapier wit will note that I've quite clearly missed a few stitches along the way. I'm still not quite capable of making something without mistakes. 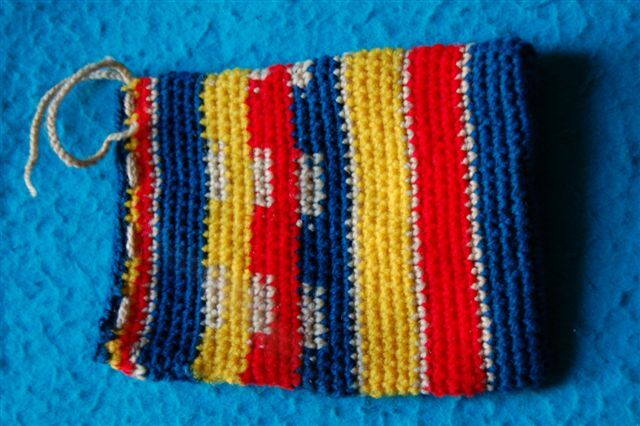 Even somethings as simple as a rectangle, double crochet bag.